For many of us, Thanksgiving brings back lots of fond memories. So do the vintage ads that graced magazine and newspaper pages. Many Thanksgiving ads included recipes and tips on making the best turkey, cranberry sauce or unique side dishes. Here’s an early 1950s ad for Reynolds Aluminum Foil. Don’t let that pump bird shrink! 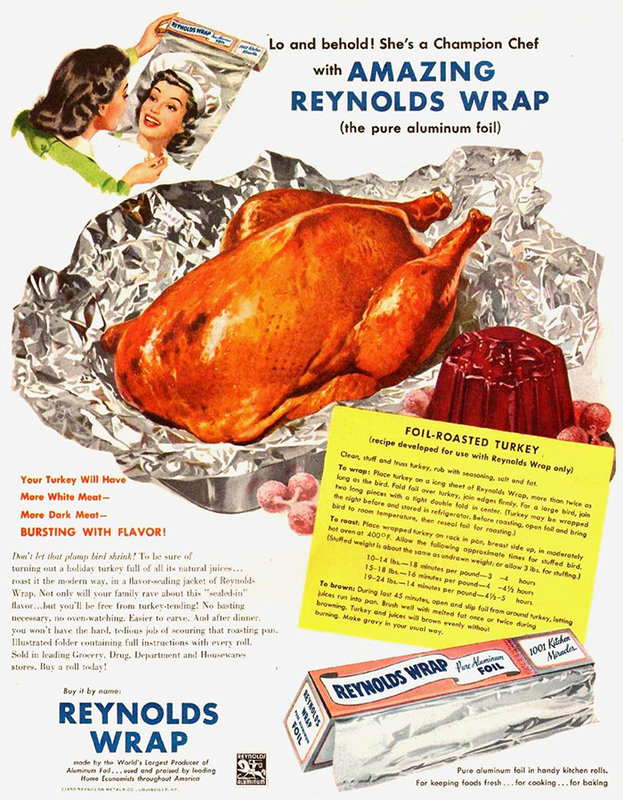 To be sure of turning out a holiday turkey full of all its natural juices… roast it the modern way, in a flavor-sealing jacket of Reynolds Wrap.